It starts in dramatic fashion: a scientist in a lab coat, singularly lit at the side of the stage and hunched over a desk, begins twitching violently. It’s the first clue that we are entering the realm of the subconscious, as our somnambulist of the title slips into a trance-like state. Soon the white-coated character finds a patient and the two are drawn into a surreal world. 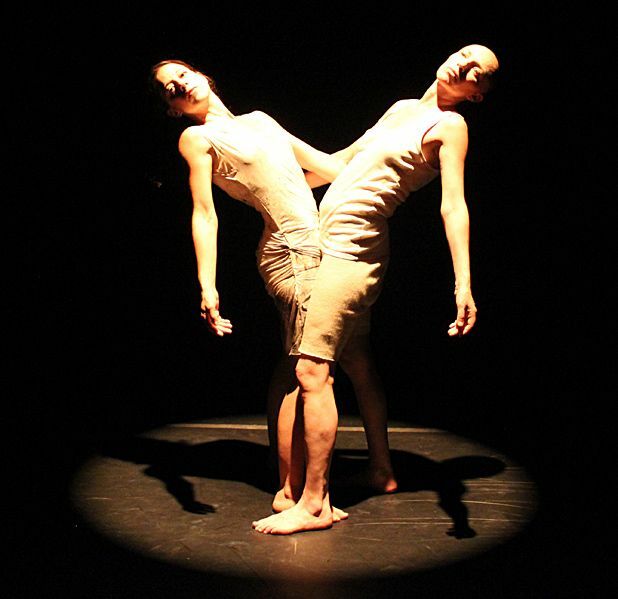 Award-winning performers Tanya Khabarova (from Russian physical theatre company Derevo) and Yael Karavan effectively evoke the sensation of being immersed in an unsettling dream in this visually captivating show. Simple props, such as swathes of white cloth and a large circular mirror are used imaginatively and numerous scenes stand out for their originality. But beneath the aesthetics it’s difficult to find something to grasp onto, meaning that as this strange, abstract journey hurtles towards its apocalyptic ending, it doesn’t quite succeed in taking the audience along with it. Summerhall, 0845 874 3001, until 25 Aug (not 12,19), £11 (£9). Fringe favourites return – and this time it’s war!